With over 10 years in operation as one of the most trusted windshield replacement and auto glass repair companies in Glendale Arizona, Glas Tek offers quality windshield replacement service, auto repair and auto glass maintenance services to keep your vehicles in great shape. If you are looking for reliable windshield replacement Glendale Glas Tek should be your first option. Read on to learn more. 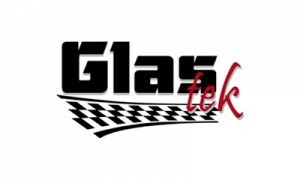 Glas Tek is a female-owned auto glass servicing company that has been providing topnotch services to local clients in the past 10 years. With over 24 years of experience in the industry, owner Lanette Canen has brought professionalism and high quality services to loyal clients who rely on the company to provide high-quality, on-time and professional services that they can trust. This include putting together a team of trusted auto glass specialists and technicians who have the skills and experience to get the job done. Our technicians have a minimum of 10 years of experience in repairing auto glass and windshield replacement so clients are assured that their vehicles are in capable hands. Our services apply to all car types and auto makers as well as all vehicle models and body styles. Exemplary customer services means going above and beyond what’s expected of us to make clients feel that they are getting more than their money’s worth. This is why we offer discounts and quotes all year round. Aside from free online quotes, clients can avail of free mobile service and rock chip repairs for Glendale residents, 10% credit on future auto glass purchases, chip repairs, windshield repairs, back and quarter glass replacements, and more. We also offer discounts to senior citizens. We are approved to work with the majority of insurance providers such as Allstate, Allied, Alliance, Farm Bureau, Metlife, Safe Auto, among others. We work with your insurance company to make sure that you do not have to pay any out-of-pocket costs. We also offer $50 CASH with your approved windshield replacement insurance claim, which can be processed in as short as 10 minutes. Glendale is located 9 miles from downtown Phoenix in Maricopa County and is known as Arizona’s Antique Capital. It is home to the Arrowhead Towne Center mall and the Arizona Cardinals. Other notable landmarks include the Midwestern, the first medical school in Phoenix, and the Thunderbird School of Global Management.